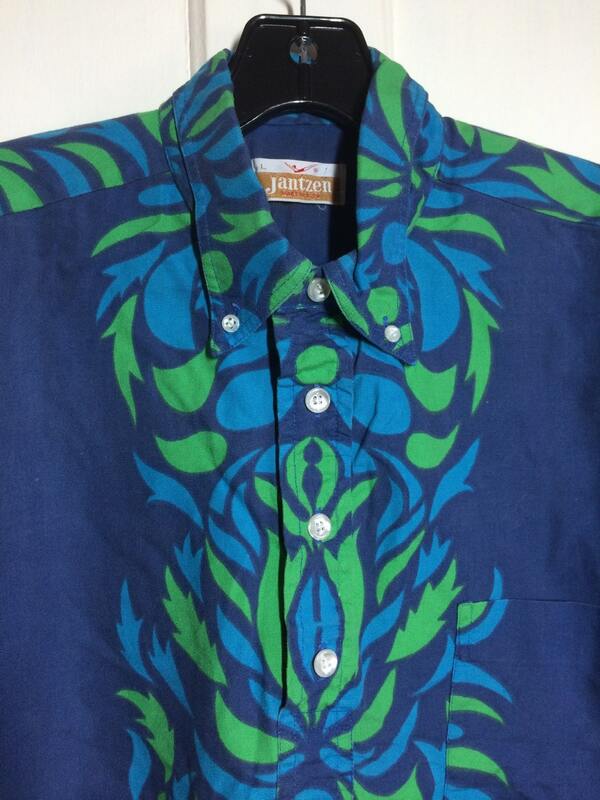 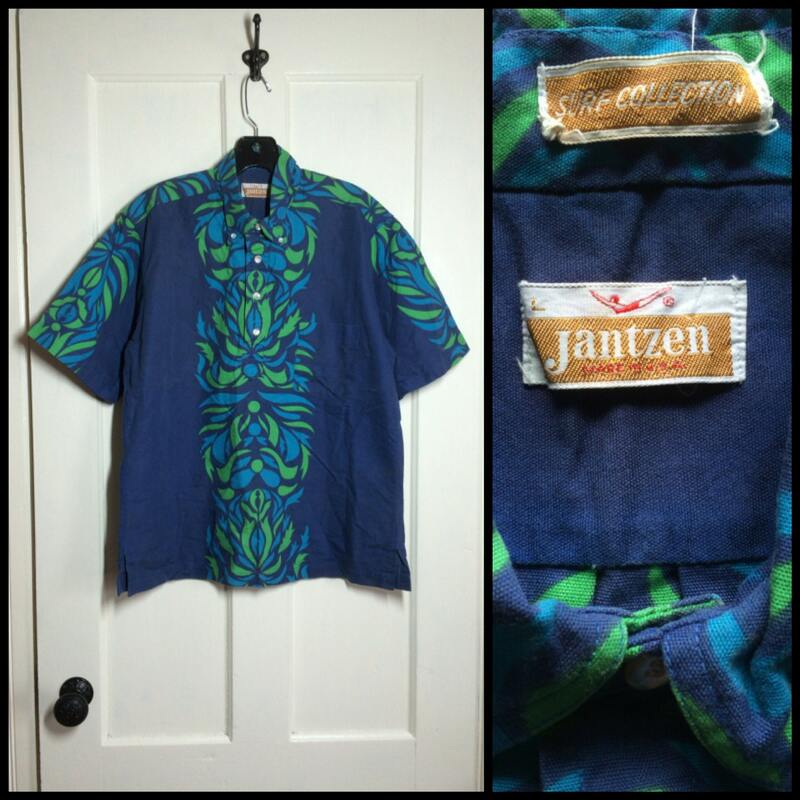 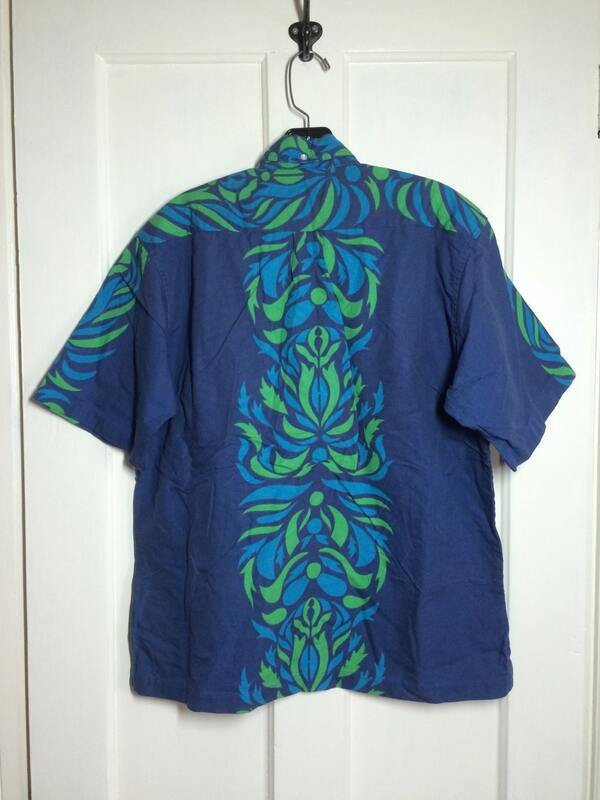 Here's a cotton Hawaiian shirt from the 1960's. 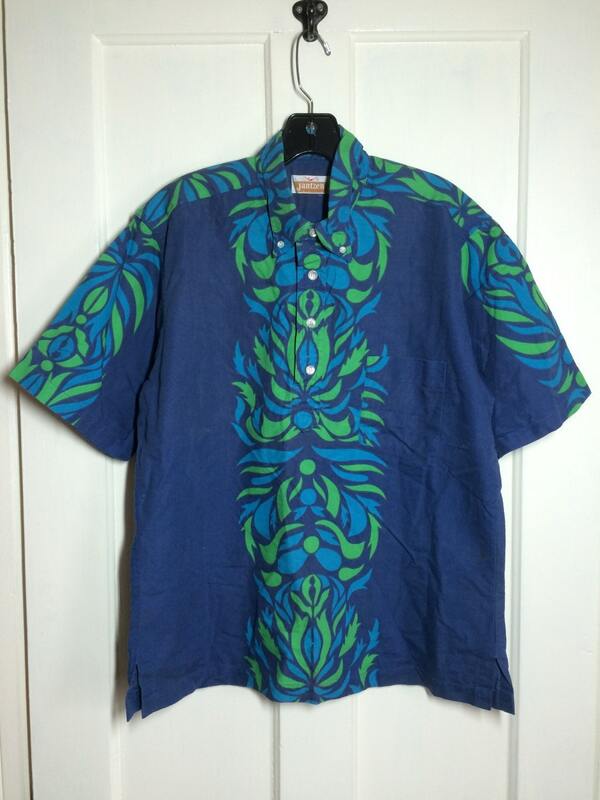 It has a button down collar, a back collar button, side slits and a pocket. 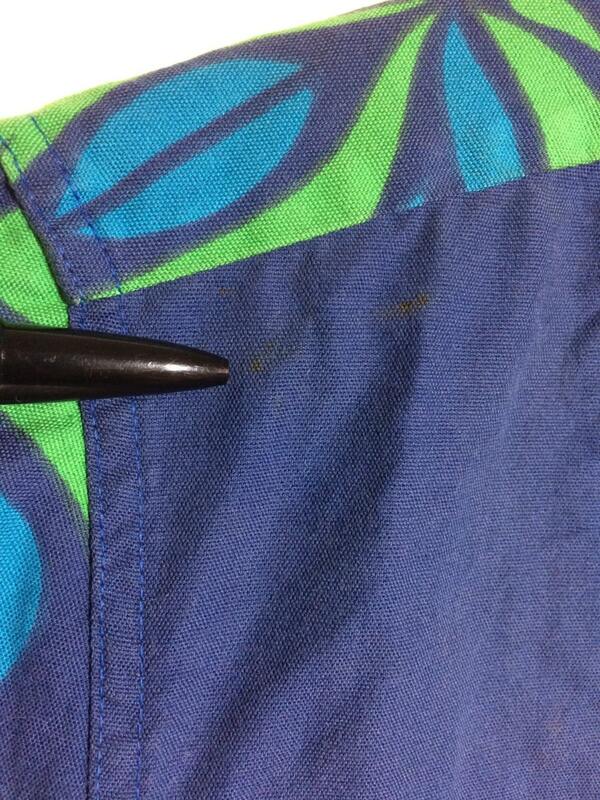 There are 2 tiny marks by the right shoulder, otherwise it's in excellent, used condition.